It doesn't matter what you have seen; there is more! Moses had seen so much: the Exodus from Egypt, all of the miracles involved there, and the supernatural provision in the wilderness. Yet Moses asked God, "Show me Your glory" and God's answer may surprise you! The book of Job is a beautiful prophetic picture of a restored life and community, but also brings encouragement to the position of women. We all desire restored fortunes and double blessings, but we may not comprehend how to access these benefits for our own lives. In this message, Paul walks the listener through the history and examples of the beautiful phrase, "Shekinah Glory." 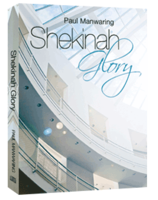 You may be surprised to learn that Shekinah is not a biblical word. It's meaning is "the dwelling place of Him who dwells." Stop the Pulpit, I Want to Get Off! Leadership is influence and influence comes from trust. 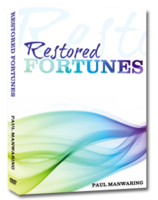 Paul Manwaring takes us on a journey of exploring how to become trustworthy by building personal integrity and believability. Paul teaches us what it is to be believable and what impact that has on our leadership. Administration is the ability to steer towards the vision. In this series Paul unpacks the gift of administration, a gift which is listed in 1 Corinthians 12:28 alongside the gift of healing & miracles. Many people have this gift, but often wish that they had another. The life of the believer is a life of glory! There is glory everywhere around us, but only if we know what glory is, and where to look. This teaching series will powerfully equip you for a glory-filled life! 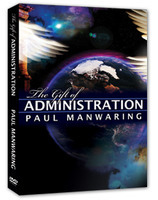 Paul Manwaring's books are available through Amazon.comand also through the Bethel online bookstore.